Plaza Mariachi is a vibrant and interesting destination for anyone seeking great food and entertainment. It’s an irritant that happens all the time between friends, family and co-workers: where can you go out for a meal that has something that will satisfy everyone? Somebody doesn’t like spicy food or someone is eating gluten-free or keto. And this is before the nightmare of trying to split up a check among eight people. It’s enough to make you want to brown-bag it every day. Fortunately, a recent trend is offering up some delicious solutions to the problem of group dining. Food halls are becoming more and more common around the country, and we’re not just talking about a mall food court where your best dining option may be an Auntie Anne’s pretzel dog. Food halls act more like gathering spots for individual restaurants that want to share a common seating space. 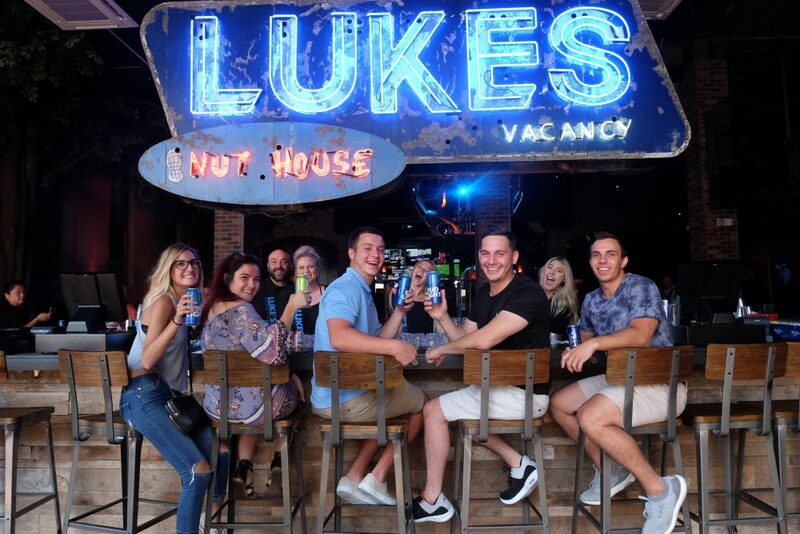 These small eateries are often independently-owned instead of franchises and can be an opportunity for an aspiring restaurateur to enjoy the benefits of a communal incubator before making the leap to a larger standalone bricks-and-mortar location. The food you’ll encounter at a food hall is frequently more interesting than your standard food court fare as well. While Nashville still lags behind some other large cities in the variety of food halls in the area, they’re definitely coming. 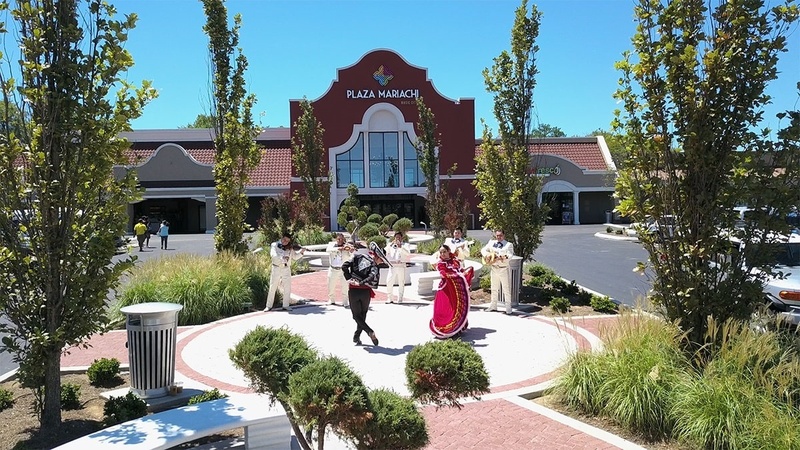 One of the most interesting examples in the Music City area is Plaza Mariachi, a dining, shopping and entertainment complex south of downtown at 3955 Nolensville Pike. Plaza Mariachi was developed in the shell of an old Kroger supermarket to act as an epicenter for Latin-American commerce and culture in the area. 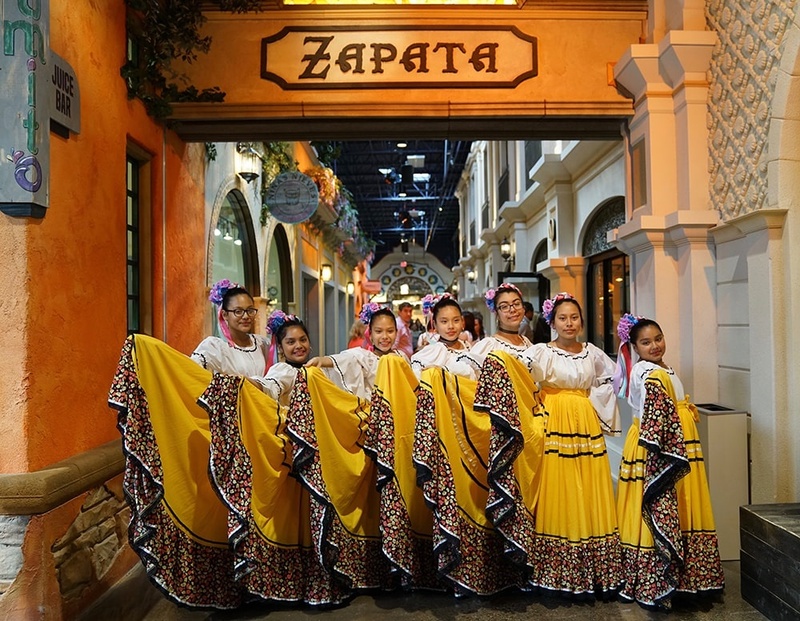 Nashville has a growing Hispanic community, and the opportunity to celebrate this cultural diversity is an important part of Plaza Mariachi’s mission. You wouldn’t recognize the old grocery store thanks to the vibrantly colored design of the new space which houses restaurants, shops, radio stations, an arcade and Mazfresco, an expansive Latin-American market with a terrific variety of specialty products plus produce, meat and seafood selections that rival any in town. 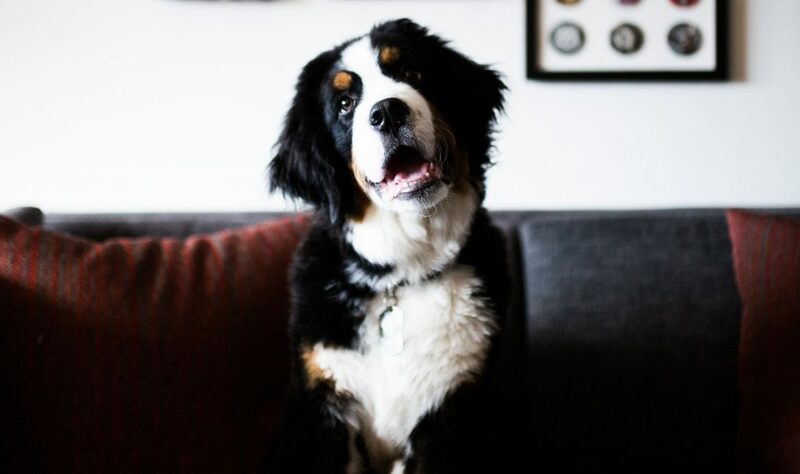 If you have a finicky lunch crew, each diner can pick their own preference, and then everybody can meet up at a central table to enjoy their individual meals. Got a hankering for arepas or empanadas? Check out La Sabrosura Colombiana. Head to Madera Cafe for more elevated versions of Caribbean and Latin American specialties. Taqueria Hidalgo offers the expected tacos plus other variations of meat and tortillas in the form of tortas, gorditas, burritos, pupusas, quesadillas and more. Speaking of the Latin-American version of sandwiches known as tortas, you can find a wide variety of them at Tortas Ahogadas. More traditional meat and potato fans can satisfy their hunger at Tres Gauchos Grill, a smaller version of the traditional South American steakhouse that you might have enjoyed in the past. And everyone should save room for dessert because Plaza Mariachi has several spots specializing in ice cream and frozen fruit pops. Groups can even make reservations in advance for a table in the middle of the dining hall by purchasing a gift card in advance that can be used to buy food at food hall venues. Why would you want to hold a table? Because the delicious food is just part of the draw at Plaza Mariachi. A large stage at the end of the food hall showcases live musical and dance performances, and aerialists perform hanging from the ceiling overhead on weekend nights. There are also free salsa dancing lessons on Thursdays and a Latin dance party on Saturday nights. With easy access from most of Nashville via three different interstates, Plaza Mariachi is a vibrant and interesting destination for anyone seeking great food, entertainment and the chance to experience the diversity of culture that makes Nashville stronger. Make it a point to visit sometime soon if you haven’t checked it out yet.